9 January, 2019 Hi-Lite Electric Inc. Many DIY homeowners look at electrical tasks as an opportunity to save some money by doing the work themselves. Not only is this dangerous and irresponsible, but DIY electrical work can also lead to complications—and even large electrical fires—if not done properly. With that in mind, it is important to seek out a licensed, qualified electrician for your project. Finding the right licensed electrician in Toronto, however, can be a difficult task. While there are a variety of large and small companies that offer electrical services, there are many factors that must be considered when you are searching for an electrician for your next residential or commercial project. Electricians undergo extensive training to become licensed, and part of this training requires them to log working hours throughout the early years of their career. This means that any licensed electrician will have experience in outfitting homes and commercial units with power. From pulling wires to installing electrical switches, these qualified electricians have a great deal of professional experience that can rarely be matched, even by the best DIY-fanatics. They know how to do the job properly, which will prevent further complications or the need for a second look. Because of their training and experience, hiring a professional electrician for your home electrical installation is the best way to ensure everyone’s safety. Professional electricians are fully-trained in safety measures, so they can ensure the power is shut off while working and prevent the possibility of circuit overload. Not only is the act of installation more safe in the hands of a professional, but it also offers more long-term security and peace of mind compared to DIY solutions. With electrical work, even the tiniest mistake can cause a devastating fire many years down the line. Wouldn’t you rather live with the peace of mind that comes from knowing your electrical work was handled with care by a seasoned professional? For home inspections, renovations, and construction, it is often a legal requirement to have your electrical work approved by a certified electrician or another safety auditor. If the electrical work was not installed correctly, it can be cause for insurance delay—or even an outright denial—of an insurance claim. Be sure to familiarize yourself with the legal requirements of a project before starting, and make sure your team is capable of handling the electrical tasks. Professional electricians have a wealth of experience navigating the red tape that comes with the industry. From renovations to construction, every project requires a great deal of paperwork. Seasoned electricians will have experience with this, so they will know exactly what paperwork your project requires. By hiring a professional electrician, you are not only outsourcing the physical electrical work, but you are also placing the burden of red-tape and paperwork on someone who understands the industry. Word-of-mouth recommendations are valuable when searching for the right electrician. Friends and family offer trusted opinions based on their first-hand experience with repairs and installation. While many electricians may look good on paper, having a first-hand account of a trusted friend or family member’s experience with an electrician can give you insight into if they are the right fit. Independent electricians are often more affordable and responsive compared to larger companies. Although the price may be lower, the quality of work is often similar, but independent contractors have lower overhead and can offer their services at more affordable prices. As well, since they are essentially entrepreneurs and small-business owners, they understand that every single job will reflect on their reputation in the community, which ensures they are responsive when you have questions about your project. Obviously, it is important to research an electrician or electrical company before beginning your project. Online reviews can give you a sense of their professional standards, customer service skills, and reputation in the community. Once you have a shortlist of qualified electricians, it is time to get a quote. 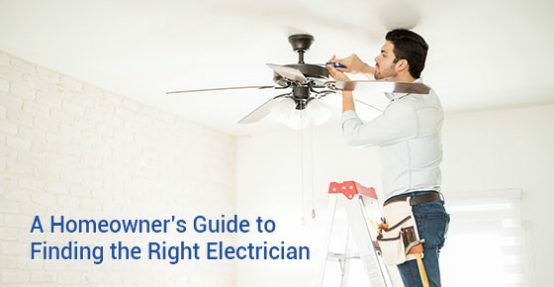 By comparing a few different electricians and their prices, you will be able to “shop around” to find the right fit based on your electrical needs and your budget. As with any contract, it is important to read the fine print very carefully to make sure you understand every aspect of a contract before signing it. From expected timelines to payment schedules, it is important to clear up any issues before the contract is signed and work actually begins. There is nothing worse than debating the details of a contract halfway through a project, so be sure to read it and address your concerns as early as possible. Just to be safe, it is always a good idea to research the qualifications of an electrician before allowing them to work on your home or commercial property. For added peace of mind, you can also ask them for references. For more information about our finding the right electrician for your project, call Hi-Lite Electric Inc at 416-800-5523 or contact us here.